If you head to Nottinghamshire, be sure to sleep with one eye open as it is claimed that the county is one of the most haunted in the country. At Retford Town Hall, the ghostly figure of a man in a black gown and a grey wig has been spotted by staff including the Town Clerk. Rufford Abbey is said to be the home of the spirit of a giant monk with a skull for a face and at the British Transport Police Station in Nottingham, staff have heard doors slam, discovered wet footprints when it’s dry outside and seen a man walk into the toilets when he shouldn’t have been in the building. When the officer who saw him went to investigate, there was no one there. In 2013 a photograph of the Major Oak in Sherwood Forest went viral, when it appeared to show the ghostly figure of a monk, sitting beneath it. Once you’ve located your ideal haunted hotel, Nottinghamshire offers a wealth of fantastic places of interest to make your stay one that you’ll never forget. 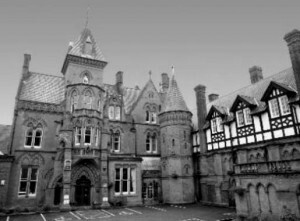 We feature just some of the most haunted hotels in Nottinghamshire. If you know of a haunted hotel in Nottinghamshire that we’ve missed, we’d welcome your suggestion. Just click on the ‘Contact Us’ link in the footer at the bottom of the website.